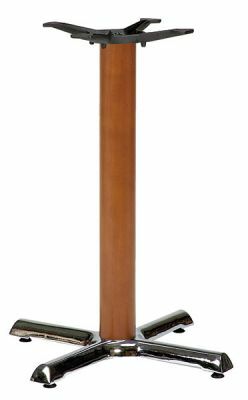 Stylish table base with a wooden column and four leg Chrome feet. Stylish Beech column. Available from stock and to be used with table tops up to 700mm round or square. Unique style table base with a wood columb and a cross base. Manufactured to the highest standard and ready for commercial use. Held in stock for a free and quick delivery.